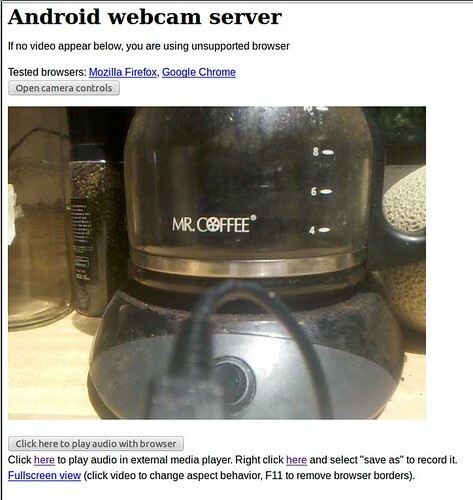 So I grabbed Son #1's old busted original droid, installed IP Webcam from the android market and put it in front of the coffee machine in the kitchen. With 6 kids in the house, there is no way that the hack will stay there more than a few minutes. 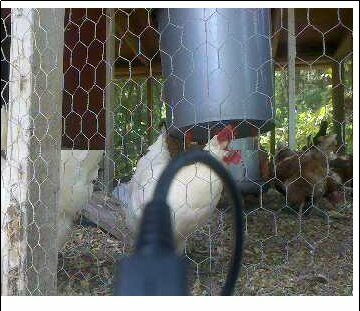 So I dug up a long extension cord and relocated the setup to the backyard and turned it into a "chicken cam". 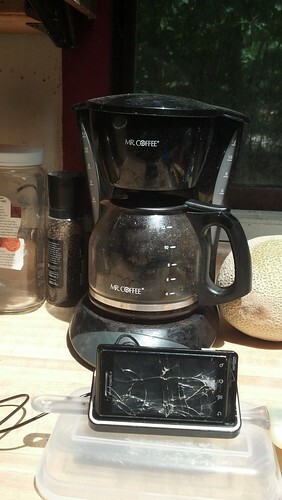 I picked up a 32GB HP Tablet from the firesale and have been running the stock WebOS. In the last few weeks some of my kids have complained that the new gmail interface is no longer fully supported by the WebOS browser. Basically it won’t load unless you switch to the basic HTML version. And then you lose the gtalk chat capability – apparently the killer app for teen girls. This morning I had one of the college kids install Android Ice Cream Sandwich (v4.0) on it. 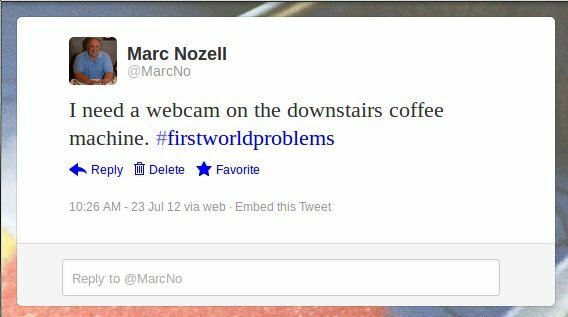 It went smoothly and works well with the exception of the camera and microphone. At the initial bootup, I connected the tablet to my google account and apps started to automatically download to it. What is very nice is the install doesn’t overwrite the existing WebOS and can boot back to that if wanted.